If you are looking to try to lose weight quickly, you should consider trying a ketogenic diet. The diet that popularized ketosis was the Atkins diet back in the 70’s. The definition of a ketogenic diet is a low carb diet where the body produces ketones for energy instead of dietary glucose. When you are in ketosis organs that normally run on glucose switch over to using ketones instead, including the brain, liver and heart. 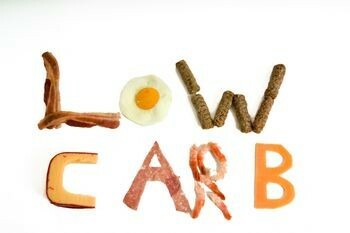 To get into ketosis you must be on a very low carb diet, such as the atkins diet or the paleo diet. Most people need to eat less than 50 grams of net carbohydrates per day to enter ketosis. Some people need to eat as few as 20 grams of carbs per day to reach ketosis while others (usually very active people) can get away with eating 100 grams of carbs while staying in ketosis. The way you calculate net carbs is take the carb content of the food and subtract the amount of fiber. Fiber isn’t digestible so you don’t metabolize it. The best way to find the carb content of the food you are eating is to look at the label or look it up on websites like calorie king. Why does Ketosis help me burn fat faster? To be in ketosis you must eat little to no sugar which means you will have low insulin. This leads to lower hunger and an easier time burning fat. Also metabolizing fat to produce ketones is much more energy consuming than metabolizing carbs which leads to higher calorie burn. You will also find it very difficult to over eat while on a ketogenic diet as long as you don’t over eat nuts. I felt like pigged out today but in reality I only at 1,700 calories while I need 2,100 just to maintain my weight. What do I Eat to Get into Ketosis? 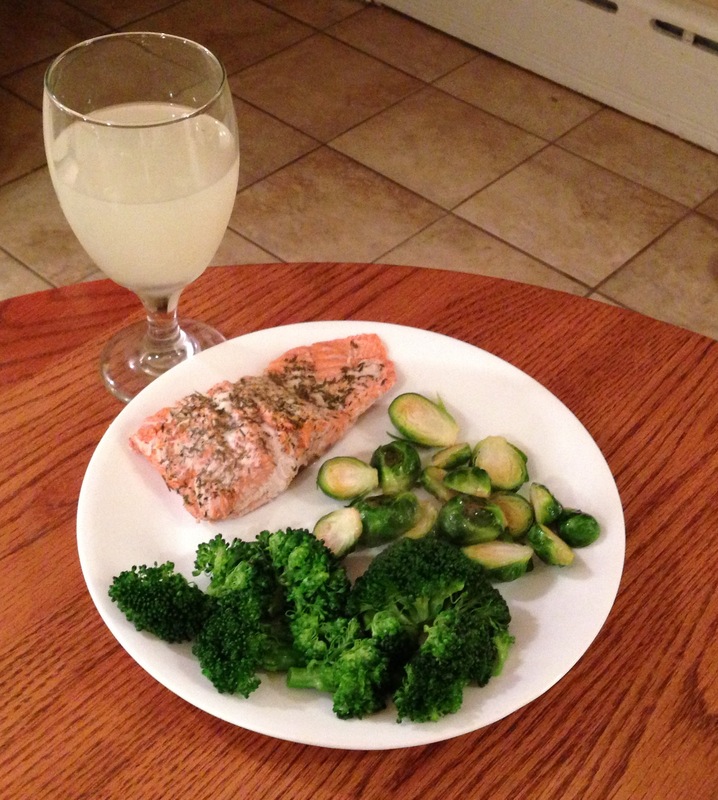 A delicious ketogenic friendly dinner of salmon, broccoli with ghee and brussels sprouts cooked in coconut oil. The best macronutrient ratio for a ketogenic diet is 60% fat, 35% protein and 5% carbohydrate. This means that foods like grain and sugar are completely off the table due to high carb content. You are consuming extra fat to make up for the low carb intake. You should only eat a moderate amount of protein because it can be turned into glucose by the body and knock you out of ketosis. You should be eating lots of good fats including avocado, coconut oil, ghee, nuts and seed (especially macadamia nuts due to favorable omega 3 ratio), fatty meats like salmon, eggs and other oils. If you are consuming a high amount of nuts, be sure to supplement with fish oil to keep a safe omega 3 to omega 6 ratio. Assuming you are already on a paleo diet, you will need to cut most if not all fruit out of your diet as well as starchy vegetables like carrots and sweet potatoes. If you would like to have a small amount of sweet fruit, berries typically have the lowest carb content of any fruit. Although avocados and tomatoes are technically fruits, they are highly recommended for while you are in ketosis. In order to make sure you get enough vitamins and nutrients, you should be eating plenty of low carb vegetables. Some of my favorite vegetables to eat while in ketosis are broccoli, brussels sprouts, bok choy, bell peppers, tomatoes (technically a fruit), sugar snap peas, cucumbers and cauliflower. I typically eat 6 to 10 servings a day of these vegetables and am able to stay in ketosis. To get an idea of what a person can eat while remaining in ketosis, here is a summary of what I ate this past Saturday while I was in ketosis. You can see that I cooked most of my vegetables in coconut oil to increase my fat intake. It also makes the vegetables taste delicious. Yes, ketosis is safe. Our ancestors would often find themselves in a situation where they could not eat carbs for an extended period of time, like famine, and adapted to using fat storage for all their needs. Many healthcare professionals will tell you that ketosis is not safe because it is often confused with ketoacidosis, a dangerous condition in which a person with type 1 diabetes produces no insulin and does not receive insulin shots. In order to get into ketosis you will need to burn off all of your additional glycogen supply. Your body can store enough energy as glycogen for about 90 to 120 minutes of intense exercise in your liver and muscles. It can take anywhere from a day to two weeks to burn off all of that glycogen depending on how active you are and how low your carb intake is. To get into ketosis faster you can increase your exercise or try intermittent fasting to burn calories. To know if you are in ketosis you will need to buy ketostix from your local pharmacy. They can usually be found near the diabetic supplies, but will sometimes be behind the counter. To use the ketostix you pee on the end and it will change color to pink or purple depending on how deep of a ketosis you are in. I know this is slightly un-related but I wanted your input. I’m in college and simply don’t have sufficient time to go to the gym everyday. However, on days I can’t go to the gym I generally try to do some sprints or workouts in my room. What are some good ab workouts I can do in my room? How about chest workouts? For abs try crunches (preferably weighted crunches if you have something heavy you can hold) and planks. Most of the “ab” exercises you see people doing in the gym are actually hip flexor exercises that partially work the abs. Strengthening your hip flexor too much can result in bad posture and back pain. For the chest do push ups, be sure to use good form. I would also recommend handstand push ups to work the shoulders and if you can get your hands on a door frame pull up bar then do pull ups too. Hi Wayne: I thought that I had posted a reply on one of your threads with a questions and now I can’t find it. In any event, were you able to stay in ketosis with a few drinks here and there? Thanks, and great blog BTW! You did post the question here, and I did answer it.